Faiza Abou el-Naga is a special adviser to Egyptian President Abdel-Fattah El Sisi on national security affairs. Abou el-Naga joined the Egyptian Ministry of Foreign Affairs in 1975, where she held a variety of positions, including representing Egypt in its dispute with Israel over Taba and serving in Egypt’s delegation to the United Nations in New York. In 1992, Secretary General Boutros Boutros-Ghali, himself an Egyptian, tabbed Abou el-Naga as a special adviser. 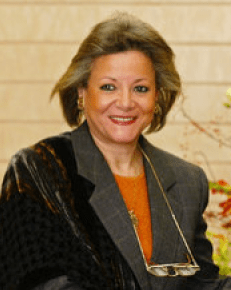 After Boutros-Ghali left office, she served as a deputy assistant minister of foreign affairs and then represented Egypt at the U.N.’s Office at Geneva. Abou el-Naga was appointed Minister of State for Foreign Affairs in 2001, overseeing international cooperation, under former President Hosni Mubarak and then-Prime Minister Atef Ebeid. When Ahmed Nazif was tasked with forming a new government in 2004, Planning and International Cooperation became a full ministry, with Abou el-Naga at its head. She retained her post after Mubarak’s fall in 2011, serving the transition government until August 2012, when President Muhammad Morsi formed an entirely new cabinet. By that time, Abou el-Naga had served in the cabinet under five prime ministers. Some recent sources have reported that Abou el-Naga became Minister of Planning and International Cooperation in 2001; while she managed the same portfolio of issues from 2001 to 2012, strictly speaking she did not gain the title of full minister until 2004. In November 2014, President Abdel-Fattah El Sisi appointed Abou el-Naga as Presidential Adviser for National Security Affairs. The position was created for Abou el-Naga and does not come with direct oversight of any institutions. Abou el-Naga is considered to be close to senior Egyptian military officials and politicians from the Mubarak regime. Abou el-Naga is generally regarded as the government official primarily responsible for the 2012 prosecution of 43 individuals affiliated with non-governmental organizations in Egypt for operating without required licenses. Four American NGOs (Freedom House, the International Republican Institute, the National Democratic Institute, and the International Center for Journalists) and the German Konrad Adenauer Foundation were accused by Abou el-Naga of being part of a larger American-Israeli conspiracy against Egypt. She referred to Freedom House as a tool of the “Jewish lobby” and the IRI as part of the “right wing” agenda of the Republican Party. All 43 individuals, including 16 Americans, were eventually convicted in June 2013, in a decision that “deeply concerned” the State Department and was criticized by other American officials. Shortly after the prosecution was announced, Abou el-Naga wrote a March 2012 opinion piece in the Washington Post defending the government’s actions. She contended that her concerns were shared by “an overwhelming majority of Egyptians,” that the unregistered NGOs were operating illegally, and that “some of the alleged NGO activities would violate American laws if undertaken by foreign entities in the United States.” While Abou el-Naga’s actions and words around the NGO trials were viewed by Americans as unhelpful to bilateral relations, her tough stance toward Americans won her admiration among Egyptians. Mainstream Egyptian pundits lauded her selection as a presidential adviser, often citing the NGO trials as evidence of her fitness for the job. Separately, an American diplomatic cable from 2010 that was released by Wikileaks indicated that Abou el-Naga had been pushing for changes in the American-Egyptian aid relationship. She is cited in message as wanting the Americans to create an endowment of funds that Egyptians would control more directly than the traditional economic support financing.